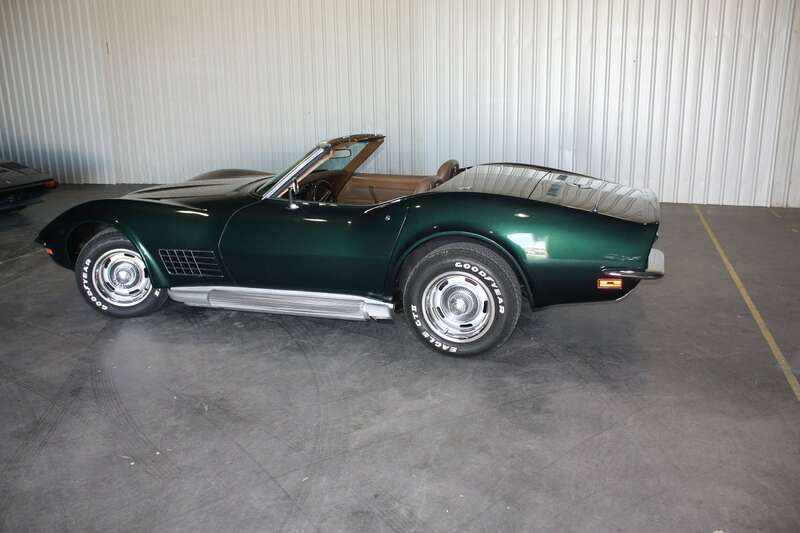 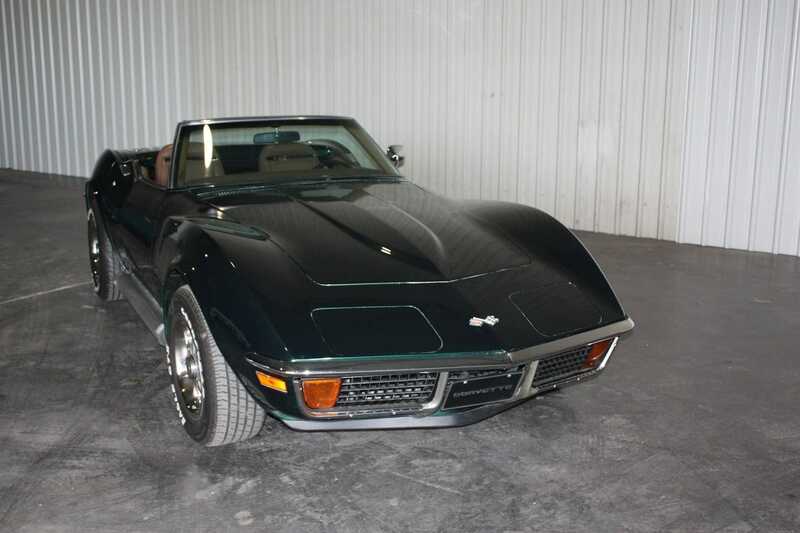 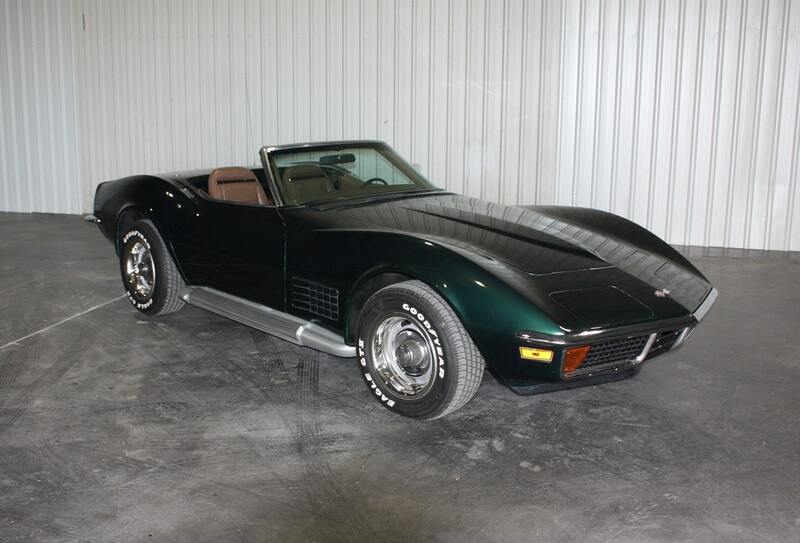 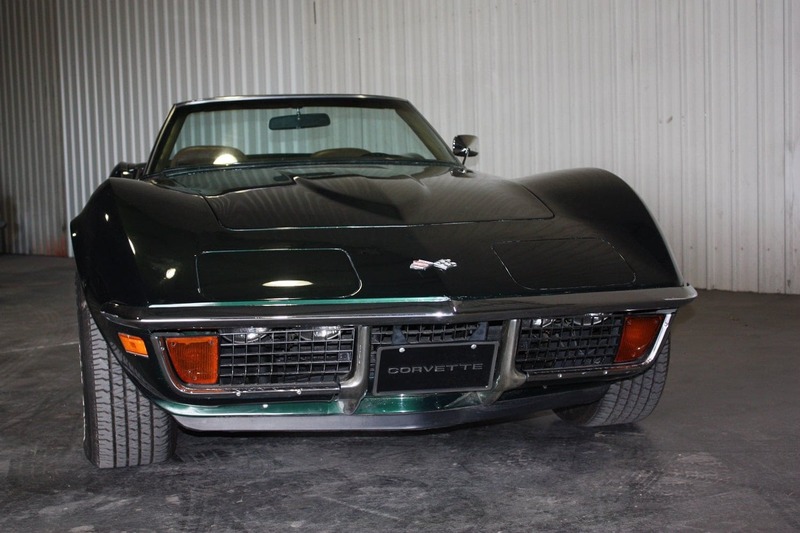 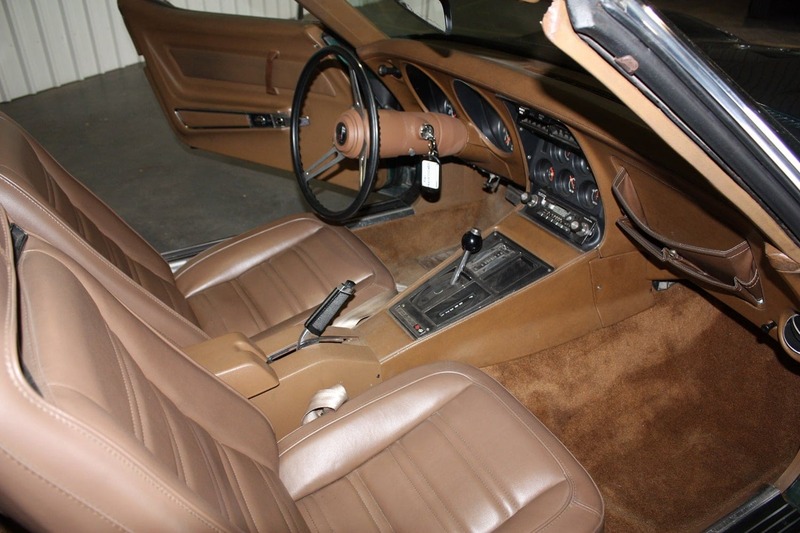 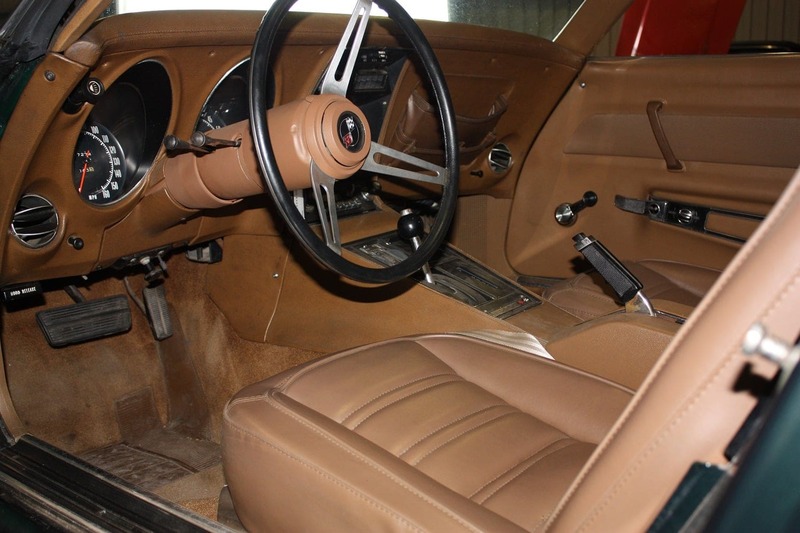 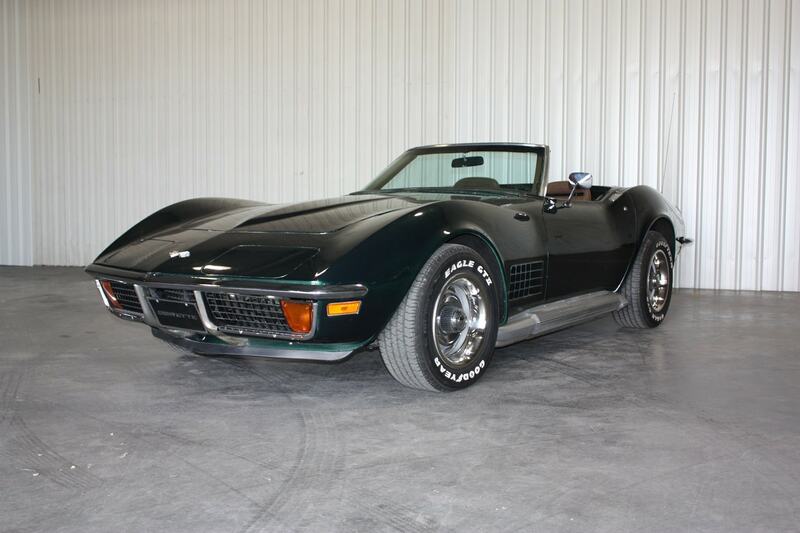 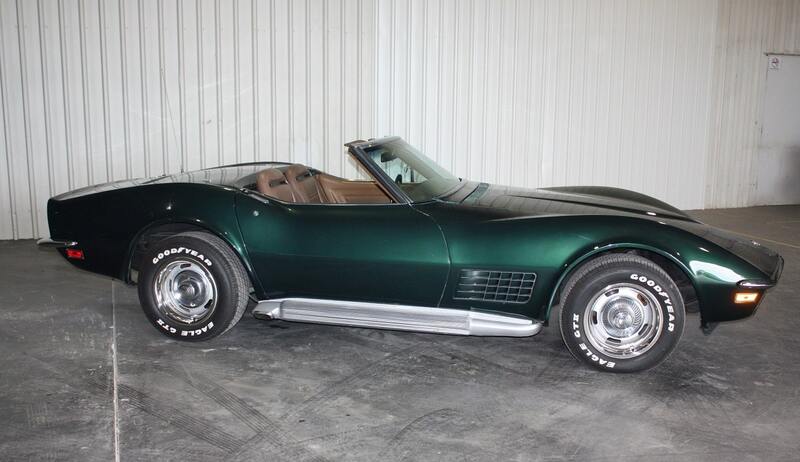 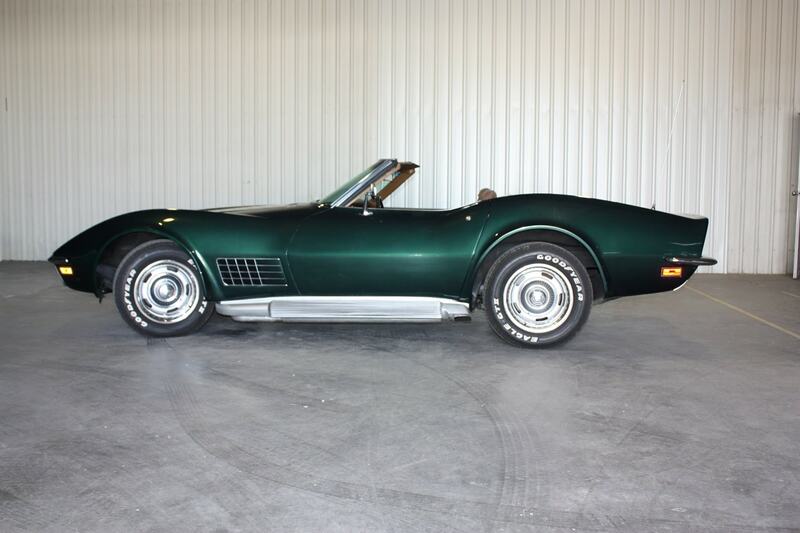 This 1972 Corvette convertible presents well in Dark Green and immaculate Saddle interior. 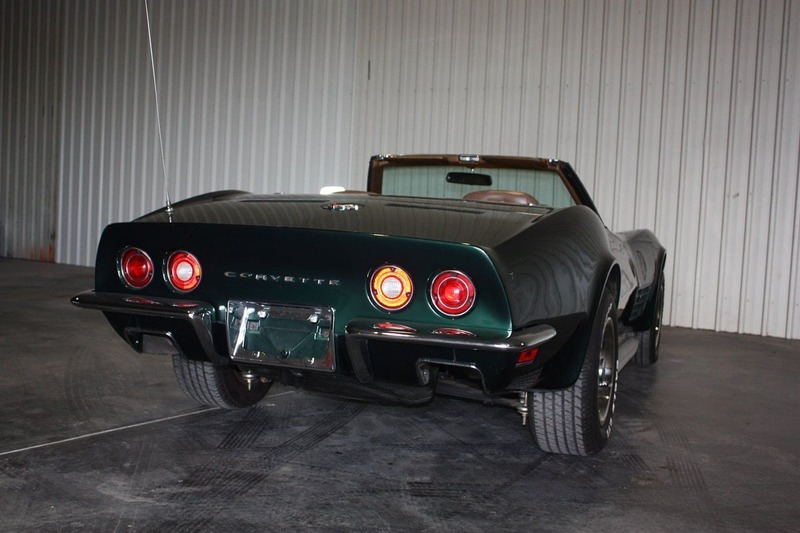 The 1972 model was the last of the full chrome bumper Corvettes and now becoming very collectable especially the convertible models. 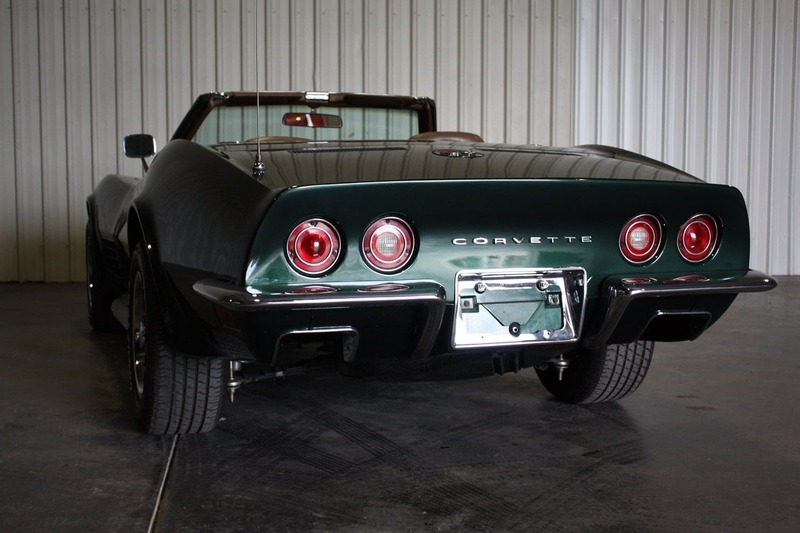 The 350ci V8 coupled to automatic transmission performs and drives really well. 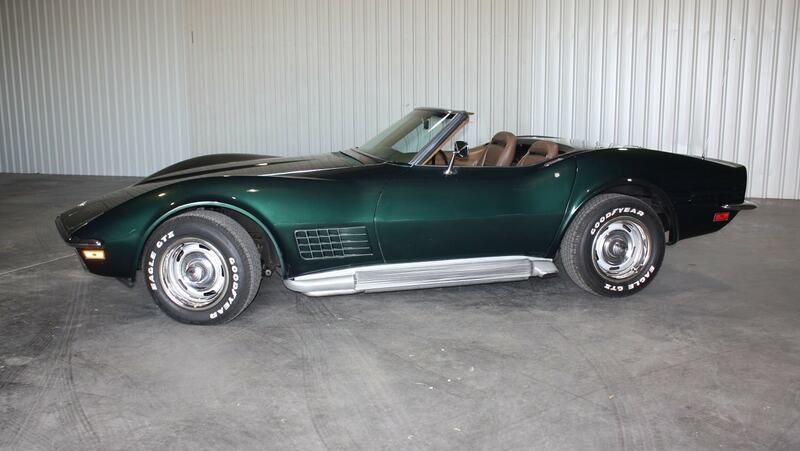 The side mounted pipes gives this Corvette a high performance sound to match its looks. 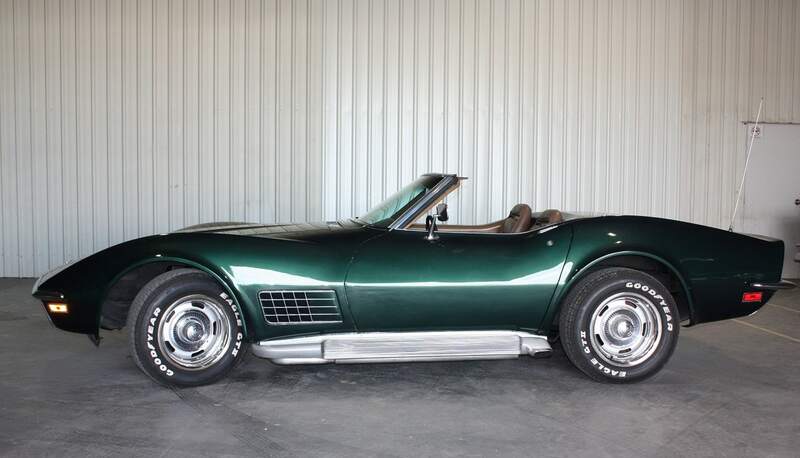 This car looks stunning whether the top is up or down. 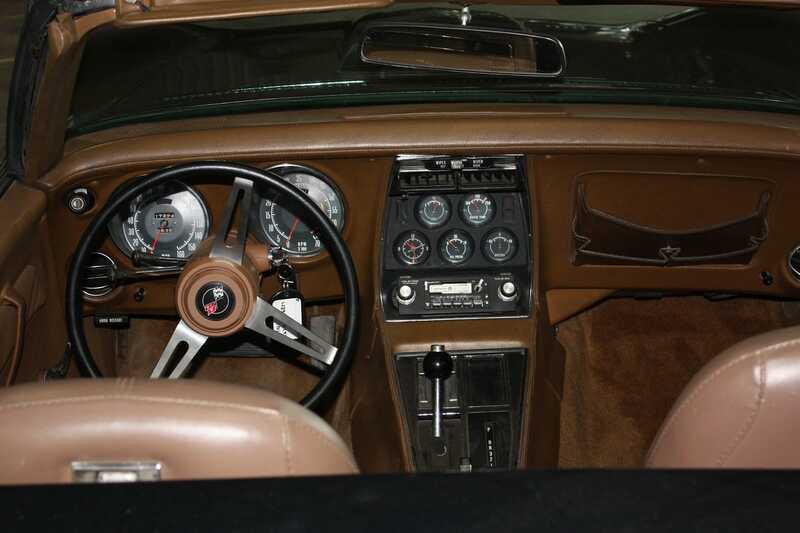 All ready for your summer cruising.